This book is about a 10 year old girl named Megan that lives with her mother, sister, and brother. 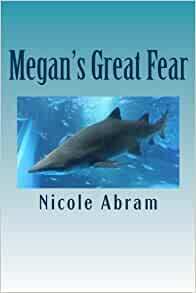 Megan throughout the story overcomes her fear of the ocean. Nicole lives with her parents and older sister. Like Megan, she has some fears she is working to overcome. Unlike Megan, Nicole is a great swimmer and loves the beach. Like Megan, Nicole loves collecting shells, and has lots of them. Unlike Megan, Nicole does not have a dog — she has a cat named Sandy. Beautifully written by an amazing, young author. I look forward to seeing her future works! 5.0 out of 5 starsFun for All! Great read! Fun for all ages! I purchased it for my book shelf in 4th Grade! The kids love it!